Genesis P-Orridge performing with the band Throbbing Gristle in 2009. Creative Commons photo by Seth Tisue. 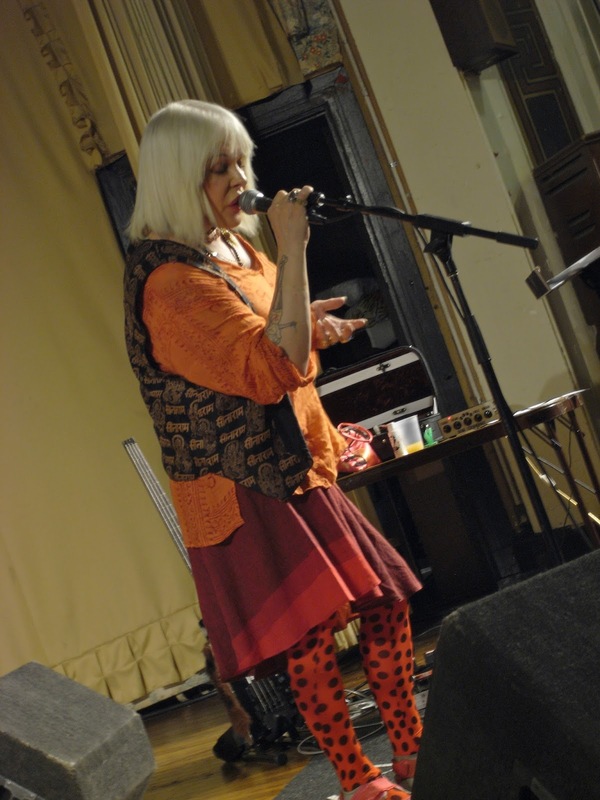 Author and pundit Douglas Rushkoff has launched an effort to raise money online to help Genesis Breyer P-Orridge, who is broke and fighting cancer. "Industrial music legend, cut-and-paste artist, and pandrogyne Genesis Breyer P-Orridge has leukemia and needs our help," the page says. "Having canceled their upcoming tour with PTV3, they are flat broke, three months behind on rent, and undergoing chemo and constant testing. Gen is on oxygen, and unable to do much beyond getting to the hospital. Friends are visiting and contributing what we can, but the expenses keep growing. "We want Gen to be warm and fed through the winter, and focused on hopefuly healing, not finances. The drugs are experimental, but promising. With continued therapy *and* low stress, Gen does not have to die from this, but could be back performing again sometime next year." If you search for "Genesis P-Orridge Robert Anton Wilson" on your favorite search engine, you can bring up YouTube videos of the pair discussing Aleister Crowley. "After rising to notability as the founder of the COUM Transmissions artistic collective and then fronting the industrial band Throbbing Gristle, P-Orridge was a founding member of Thee Temple ov Psychick Youth occult group, and fronted the experimental band Psychic TV. P-Orridge identifies as third gender," the Wikipedia biography explains.